The U.S. goods-and-services deficit climbed 15.2% year over year in December to reach $59.8 billion, the highest since October 2008, Panjiva analysis of official data shows. 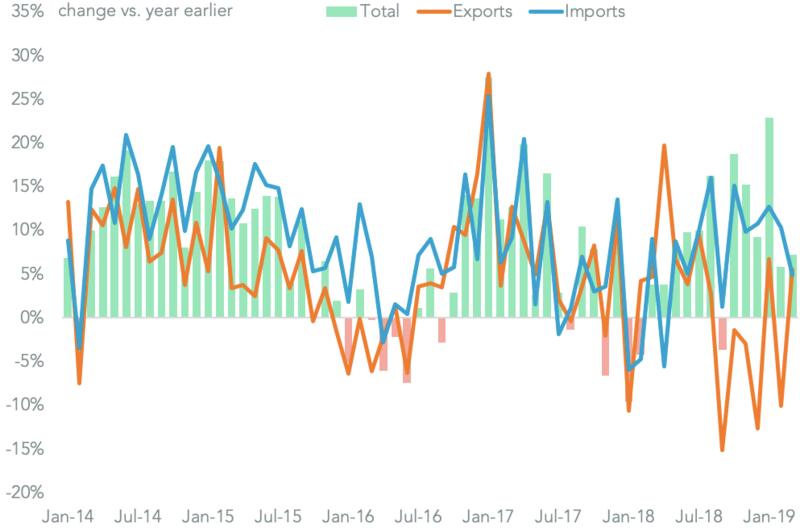 As outlined in Panjiva’s research of Feb. 27 the goods balance was the main driver with exports growing by just 0.1% and imports rising by 3.4%. 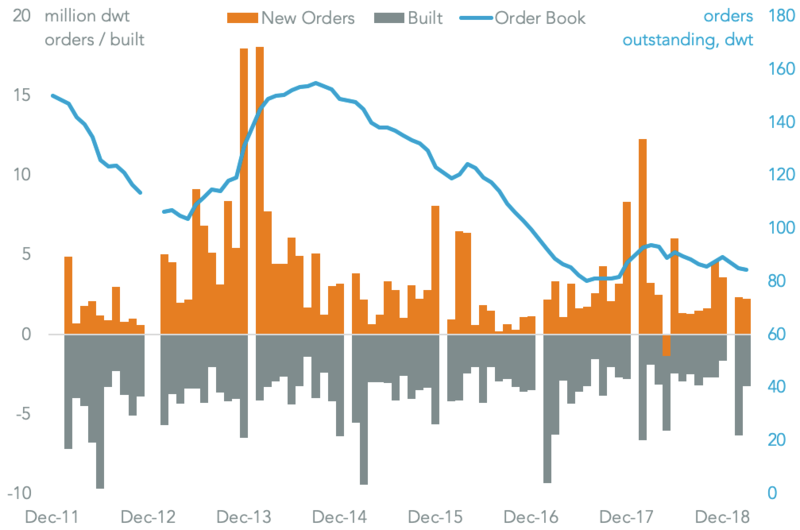 Both represented a slowdown from the prior month with the export figure hitting its weakest since July 2016’s decline. Services exports also continued to slow with an increase of just 1.8%, down from a peak of 6.9% in November 2017. 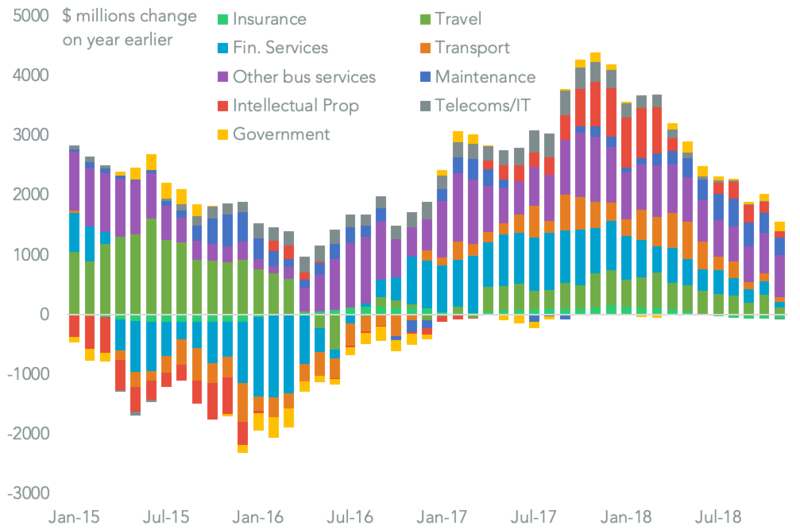 A reversal in transportation services, down 1.4%, and telecoms/IT services of 0.7% were the main culprits. The full year total deficit of $621 billion compares to $502.0 billion in 2016. Given the trade deficit is the Trump administration’s main metric for whether trade policy is proving “fair” or not the figures will likely be a spur to more hawkish behavior. 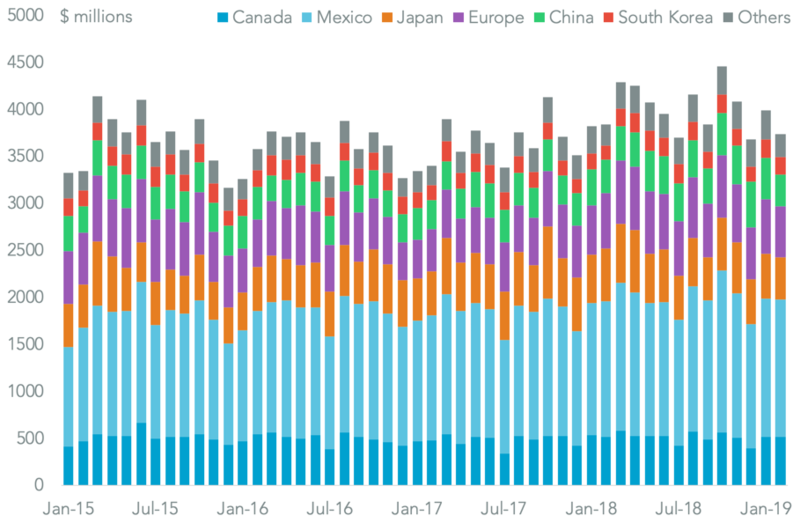 From a country perspective in December the merchandise trade deficit versus China led the way with a 19.5% change year over year while the combined deficit with Canada and Mexico climbed 21.3% – Mexico fell, Canada rose. The deficit versus Europe fell 4.6% while that with Japan only increased modestly, limiting the risk of a change in tone during trade negotiations with both. 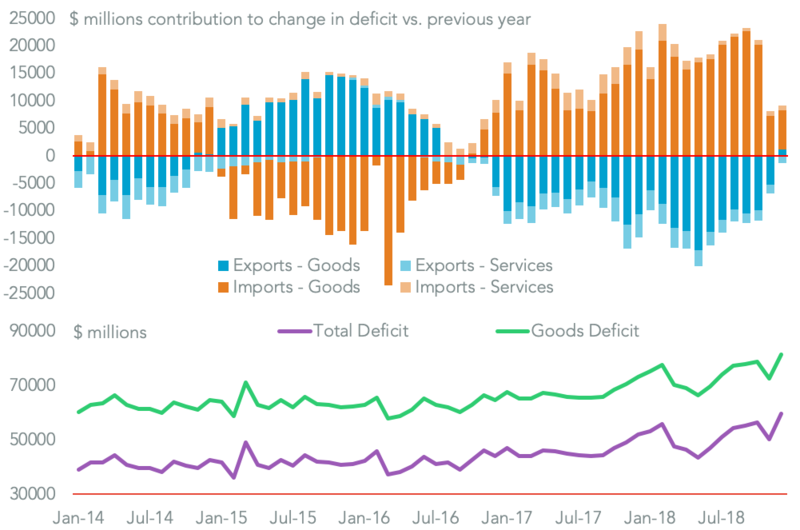 The growth in the merchandise trade deficit versus China, which reached $419.2 billion for 2018 as a whole, was the result of a mixture of a slide in exports – which fell 32.7% year over year in December – and imports which increased by 3.5%. 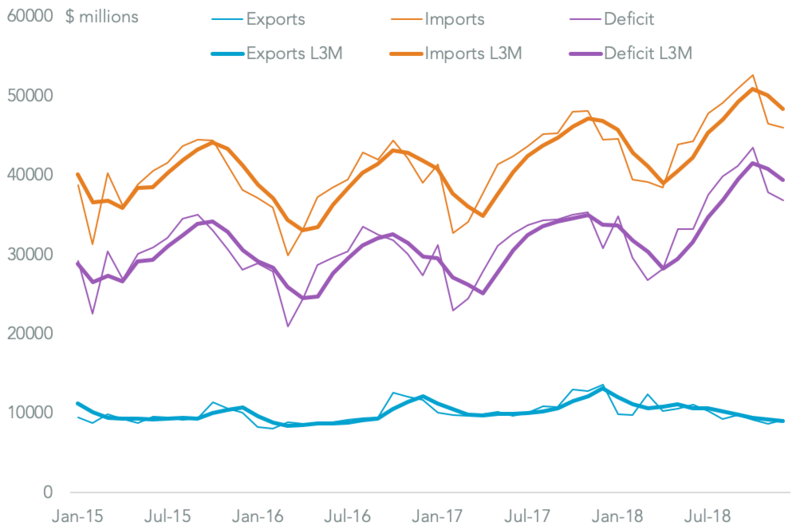 The continued skew against U.S. exports reflects the structure of tariffs and counter-tariffs. U.S. duties have been based on supply chain products with most companies choosing the front-load imports and raise prices. China’s retaliation meanwhile has been focused on commodities bought by state-owned enterprises. As a consequence for the fourth quarter as a whole – the first period when all tariffs were in place – U.S. exports to China fell $12.4 billion and imports rose by $4.6 billion, or a loss of net exports in the fourth quarter of $17.0 billion. 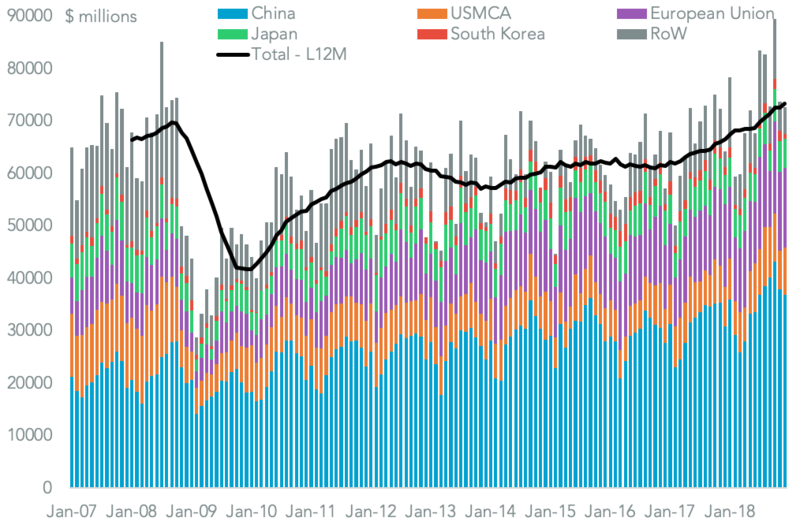 Evidence from China’s governmental data suggests that more of the same has been seen in January at least. 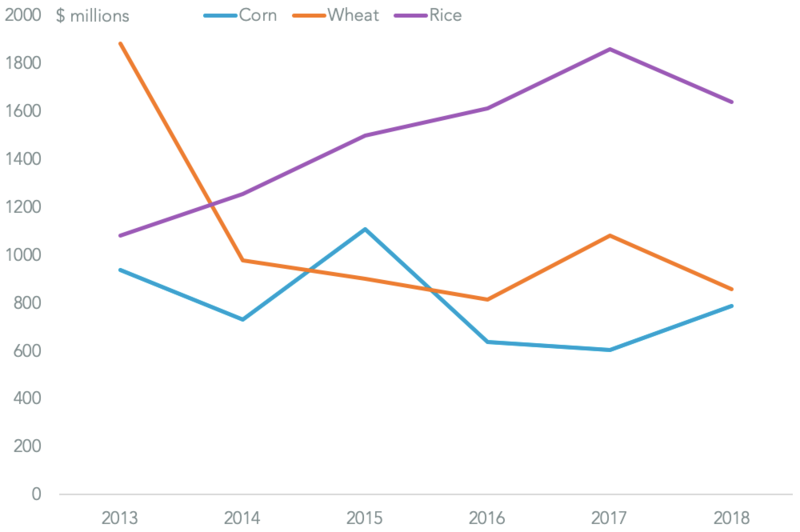 That balance may be one reason why the Trump administration is pushing towards a deal on agricultural tariffs and to secure purchasing commitments as soon as possible. Yet, it’s worth noting that to cut the trade deficit with China back to its 2016 level would require a 63.4% increase in U.S. exports from their 2018 level.